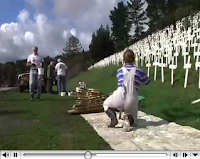 Building and Painting: Good looking footage of hammering together and painting crosses. 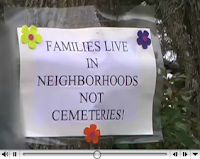 A Spatialized Debate: Across the street, signs protesting the non "family friendly" nature of the memorial reveal the confluence of space and values in suburbia. 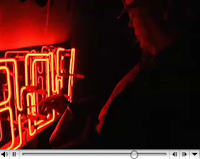 Electrically lit objects from the Januarary 11th vigil. 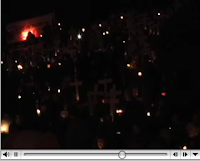 Footage from January 11ths vigil. 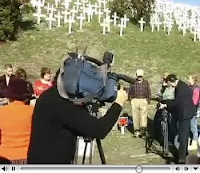 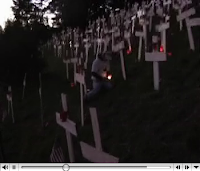 Footage from the January 7th workday attended by gold star mothers. 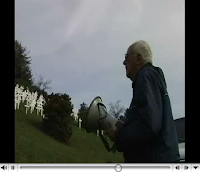 WWII vet, Robert Heaton, play taps over a bullhorn.